Let’s first consider what you can do with a handheld camera. Here is a video demonstrating a very impressive camera that can zoom in by a factor of 83, getting a full image of the moon about 4000 pixels across. The size of the moon in the sky is about 0.5 degrees. So each pixel is about 10-4 degrees. 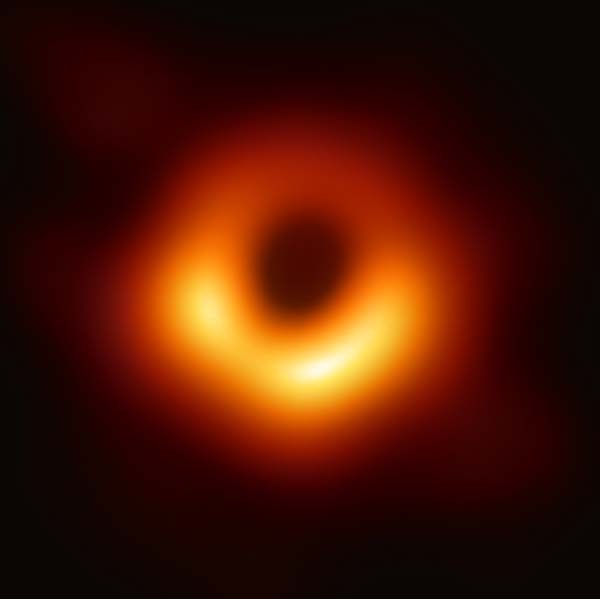 For comparison, the “ring” of the M87 black hole is 40 micro-arcseconds across, or 10-8 degrees, ten thousand times smaller than one of the camera pixels. If you pointed this camera at the black hole, you’re not going to see a ring, you’re just going to see a single point of light. The obstacles to imaging black holes are not unique to black holes. Stars are also really far away. We’ve all seen stars, and we all know that stars are giant balls of hot gas. But it’s easy to forget that for most stars (besides the sun), we don’t actually have images, we just see single points of light. On our own sun, we can see sunspots and other blemishes moving across the surface, but seeing sunspots on other stars is nearly unheard of. 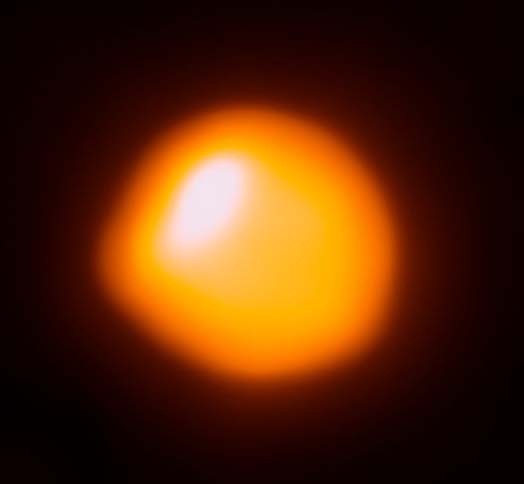 The reason we’re able to get such a good image of Betelgeuse is because Betelgeuse is a very large star (radius 630 times larger than the sun), and it’s relatively close (a mere 643 light years away). Betelgeuse occupies about 10-5 degrees in the sky, more than almost any other star. For comparison, the event horizon of M87 is about 28000 times larger than the sun, but it is much further away (53.5 million light years). The “ring” around M87 (which doesn’t exactly correspond to the event horizon, see this video), is, as previously noted, 10-8 degrees in diameter, a thousand times smaller than the image of Betelgeuse. 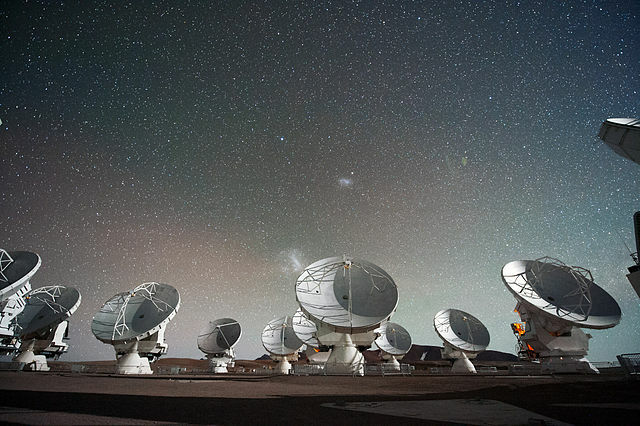 ALMA is a pretty big radar array, but not nearly big enough to produce an image of a black hole. The reason you need a big array, is the uncertainty principle. In order to precisely pin down the angle (momentum) of the light, you need to take measurements over a very large range of distances. So the Event Horizon Telescope was basically a collaboration between radar all across the world (only one of which is ALMA). Given that the diameter of the earth is 12800 km, and using red light (700 nm wavelength), the uncertainty principle says that the best resolution is about 10-13 degrees, which is plenty to generate the black hole image. But there’s a catch: the Event Horizon Telescope didn’t use red light–the image of M87 is false-color. I’m not sure of the details, but I believe they need to use a frequency of light that passes easily through Earth’s atmosphere, and also through the gas clouds surrounding M87. So they settled on a radio wave frequency, with 1.3 mm wavelength. The uncertainty principle becomes a more serious problem at these wavelengths, and I estimate that the best resolution they could achieve is about 5×10-10 degrees, which is barely enough. I think that’s why the black hole image is so blurry! To zoom in and enhance even more, I think they would need to use light with a shorter wavelength, or use telescopes in space. More data collection might help too. Cheers for this. Excellent article. Will share. Neither of them was capable of EHF frequencies for millimeter band, though, only the UHF/SHF frequencies down to 1.3cm.